If the child has a stuffy nose, treat this ailment carefully. Difficulty in nasal breathing in children is one of the most frequent diseases. The cold itself is not dangerous, but you need to observe the secretions from the nose and the health of the child to correctly assign treatment. 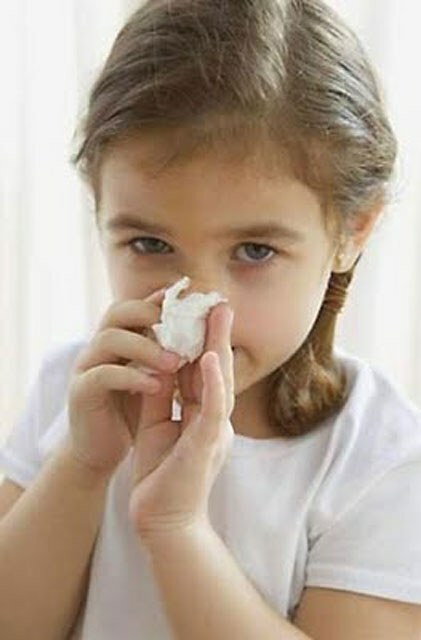 Causes of nasal congestion in children a lot. In addition to rhinitis, it can cause enlarged adenoids, allergies, deviated septum. So first of all you need to find out the cause and then start treatment. Now in pharmacies sells a variety of drugs against child cold. But many of the tools only affect the surface of the mucous membrane of the nose, they help to relieve swelling but not cure the cold. Besides, they can be used not more than 4-5 days, otherwise it will be addictive. It is best to consult a doctor so he can prescribed the appropriate course of treatment. At the first signs of nasal congestion helps flushing salt water or decoction of chamomile. Babies under one year this procedure should be done with a pipette, and older children can pour gently into the nostril from a small watering can. For this the child needs to get up to the sink, turning his head to the side so that it is easy to pour broth or water into the nostril. The liquid must pass through all the nasal passages and out of the nostrils at the bottom. During the procedure, the baby should breathe through the mouth. There are also many folk remedies that effectively fight the cold. Finely chop the onions and squeeze the juice out of it. In this juice add a little sunflower oil and let stand until morning. Bury in each nostril 1-2 drops. Children under one year it is better to drip carrot or beet juice, diluted with boiled water in the ratio 1:1. Helps warming up. Cook the egg and wrapping it in a handkerchief or towel, apply to the nose. Keep until the egg cools. You can make inhalation. Boil water, add the soda or medicinal herbs (3 tablespoons to 2 liters of water), let your child breathe over a bowl for 10 minutes. Make sure that the steam was not very hot. Prevention do not allow overcooling of the respiratory tract and legs. If after a walk with frozen feet, then immediately take a hot bath with dry mustard. Drink tea with honey.